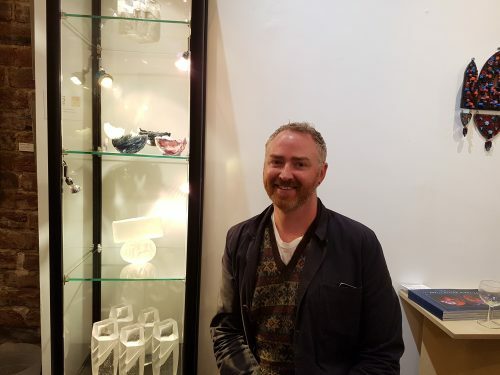 Daniel Killeen won the award for his entry of 4 pate de verre pieces, Stone Peat Heather and Sky, inspired by rugged Scottish landscape. Jenny McIntyre, Late Deacon, Incorporation of Wrights, Trades House of Glasgow, along with Fiona Logue, Director of Craft Scotland, spent a considerable time looking at the pieces in the exhibition, and made their choice from among the work made by new or less well-established artists. They particularly liked Daniel’s work as it is a good fit for the theme of exhibition and is made and finished to a high standard. Daniel’s background is a Ba Hons Fine Art Sculpture, Edinburgh College of Art, and MSc Art Psychotherapy, QMU. 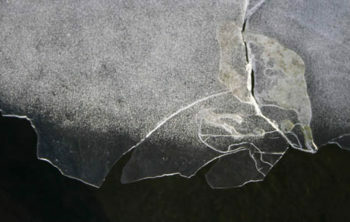 He says: Pate de verre allows me to make forms that are fragile yet visually strong. 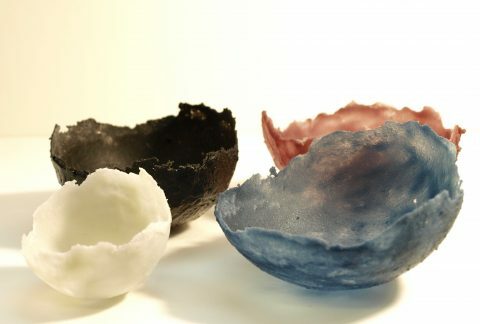 These four glass forms are as one, corresponding colours for natural elements of Scotland; Stone, Peat, Heather and Sky. Scotland is made of these elements from which its heritage has grown.